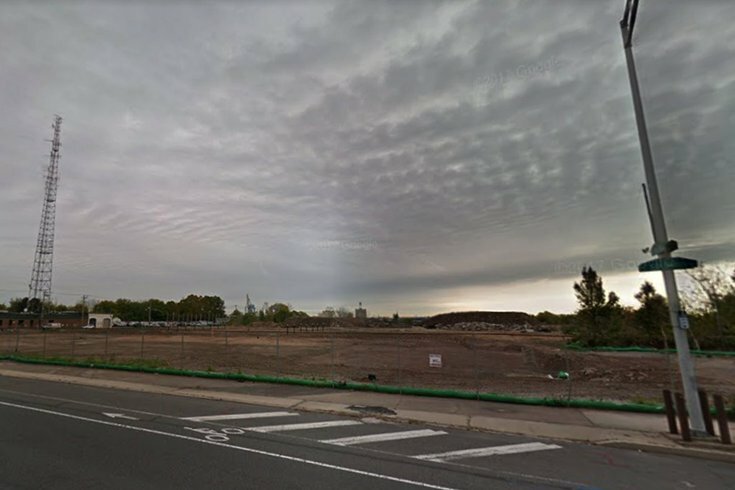 The empty lot at 1499 S. Columbus Boulevard in South Philadelphia, as it looked in November in this Google Maps image. The empty lot in South Philadelphia where plans for a casino died seven years ago will be developed. A mixed-use development is planned for the 22-acre waterfront area along South Columbus Boulevard, the last proposed location for the Foxwoods Casino, according to Silver Arch Capital Partners, a nationwide private lending firm, which on Thursday closed a $15 million land loan for two of the site's six parcels. Planned are construction of up to 235 luxury townhomes on the Delaware River with boat slips and a riverfront cafe. The much-plagued Foxwoods proposal, whose location changed several times due, in part, to community opposition, landed at the Columbus Boulevard site in February 2010, after Las Vegas casino mogul Steve Wynn was brought in on the project as managing partner. Two months later and three days after presenting plans to the Pennsylvania Gaming Control Board, Wynn was out. By the end of that year, the Gaming Control Board had revoked the casino's license due to a lack of funding. "South Philadelphia is becoming a vibrant area where people want to live, work and shop," said Jeffrey Wolfer, CEO of Silver Arch Capital Partners. "Putting this vacant lot to good use will add tremendous value to this growing area of the city." The property was part of a 30-acre parcel owned two different times by Philadelphia developer Bart Blatstein. In 2014, he divided the property into multiple parcels for the development an Aldi's grocery store and a Wawa convenience store. According to Wolfer, a new mixed-use development will excite for South Philadelphia, which has seen significant revitalization in recent years. "This area is particularly valuable because it's the only developable piece remaining among the 1.2 million square feet of retail space along Christopher Columbus Boulevard," Wolfer said in a statement.